Hence, cleaning the gutters regularly is necessary. 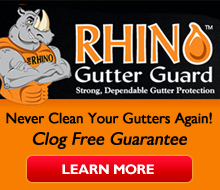 In most parts of the country gutters need to be cleaned at least three times in a year. However, their position and height above the ground make it no ordinary job for a layman. In addition, as time passes by overhanging ledges and rooftops become slippery due to moss and cracking of concrete and wood. It requires workmen and equipment to safely clean all the gutters and spouts on all the floors. Alternatively, installing a Gutter Guard of your choice or gutter cover is an option available to greatly minimize the yearly maintenance required. Statistics have shown that the number of injuries at home are reported more during the “gutter cleaning” time of the year. These injuries can vary from being minor to fatal. However, with the advent of Gutter Guards there has been a drastic reduction in such mishaps. Manual cleaning is not restricted to a fixed time of the year. You may have to climb on to such precarious positions even during a thunderstorm because of the leaves, which flew in and blocked your gutters which were squeaky clean earlier in the day. A gutter guard is always the better option. 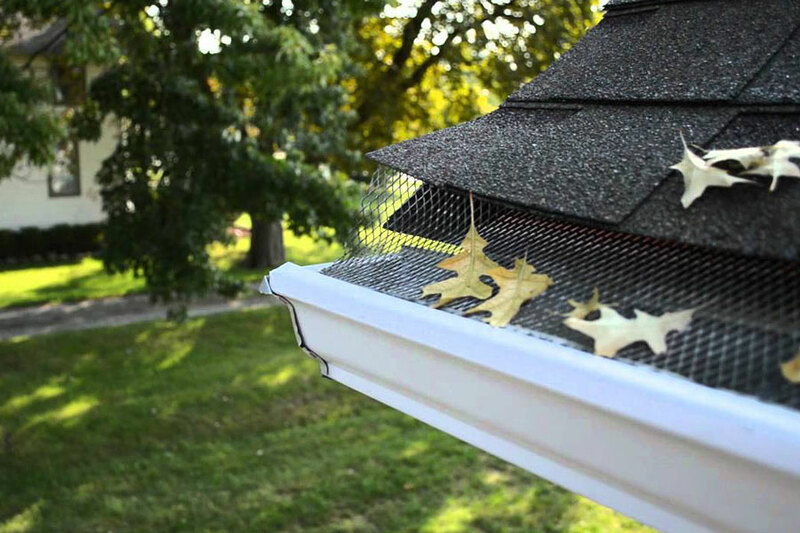 A gutter guard in general is an accessory for the gutters to prevent falling leaves, falling people breaking body parts, an accumulation of dust, and other flying debris from entering the gutter system. Some are made of a sheet of metal or PVC with slits at regular intervals. While water flows along the edge into the gutter, the debris jumps over the edge directly to the ground below. Since all the debris fall off the roof, this eliminates the need for regular cleaning. The smooth surface prevents growth of moss and weeds and saves the effort required in plucking them off the concrete or wooden base. Wire strainers may also, be used to prevent large objects like leaves and pine needles from falling into the gutter. Others consist of a screen of small pores, which can be easily installed and removed for maintenance. Some Gutter Guards may have clips, which hold on to the gutter edges and can be opened like a hinged door to enable cleaning at a suitable time. Hybrid gutter guards are completely covered by gutter shingles, and have a fine mesh covering to keep out smaller particles of debris. These guards keep out most of the debris, including buds and seeds, leading to almost no need for yearly cleaning. Besides gutter guards maintain the aesthetics of the home compared to an open and rather discoloured gutter system. The choice of gutter guards depends on the slope of the roof, presence of trees nearby, type of debris that may fall on the roof top and average rainfall and snow experienced all through the year. Cleaning of such gutters can be done at a safe time of the year and without having to put one’s life and limb in danger. A gutter guard will definitely save you the trouble of climbing the rooftop at odd hours and face the worst of the elements. Mike Milliman is founder and partner of GutterSupply1.com, the leading manufacturer and distributor of gutter supplies, gutter machines. No Replies to "Gutter Guards VS. Gutter Cleaning"